This is our third and final post looking at real-world uses of graph visualization. First we explored how link analysis evolved from physical ‘investigation boards’ used by law enforcement, helping analysts to link people, locations and events at scale. Then we reviewed how it’s helping to tackle the scale and complexity of cyber security data. This time, we’re going to review less obvious use cases where graph visualization helps analysts transform complex data into useable insight. It might not be the most exciting topic, but regulatory compliance is critical for all organizations. It often involves grappling with complex scenarios and data to understand non-compliance risk. Graph visualization is the perfect tool for the process. Let’s look at some examples. In financial services, due diligence processes like Know Your Customer (KYC) and Anti-Money Laundering (AML) are especially cumbersome. Understanding customer history and behaviors requires a robust data analysis process that relies on some kind of graph visualization (or ‘link analysis’) tool. Data protection regulations are ideal candidates for a graph-led approach. The forthcoming European GDPR regulation has huge implications for all organizations that hold personal data and operate in the EU. From May 2018, that personal data needs to be catalogued and connected to a genuine business case for keeping it, and all staff need to understand their obligations. 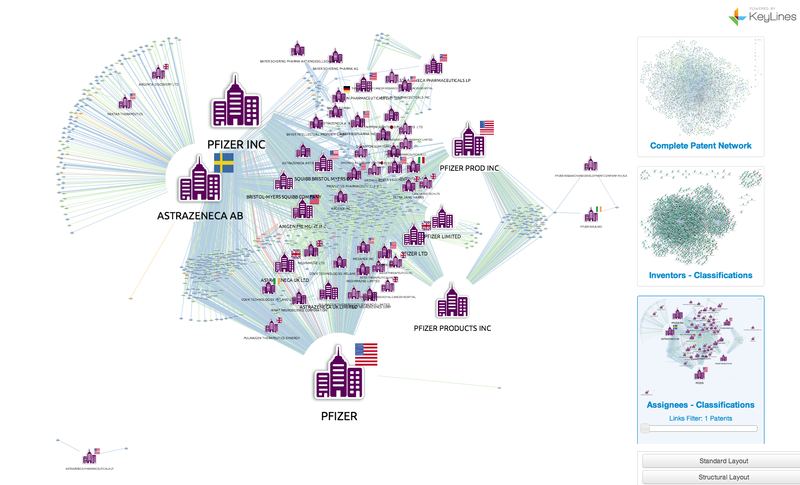 Graph visualization can help simplify regulatory compliance processes whenever a person needs to understand the connections inside data. In this blog post KeyLines product manager Dan Williams looks at the role of data visualization for managing restricted substances and complex supply chains. Speaking of supply chains, graph visualization is the ideal tool to understand flow. IoT, telecoms, oil and gas – these industries rely on physical networks of infrastructure to function. A relatively minor failure in those networks can cause critical problems costing millions of dollars. To counter that risk, companies have invested heavily in network monitoring, collating terabytes of data showing flow and dependencies. Graph analysis techniques, like social network analysis and filtering bring out the most important parts of the network, which can then be further examined with graph visualization. Graph visualization is a great way to understand impact analysis – if something fails, what is the knock-on effect to the rest of the network? In this webinar, hosted with multi-model database firm ArangoDB, we walk through the example of IT infrastructure, uncovering the key dependencies in the network to run precise and straightforward impact analysis. 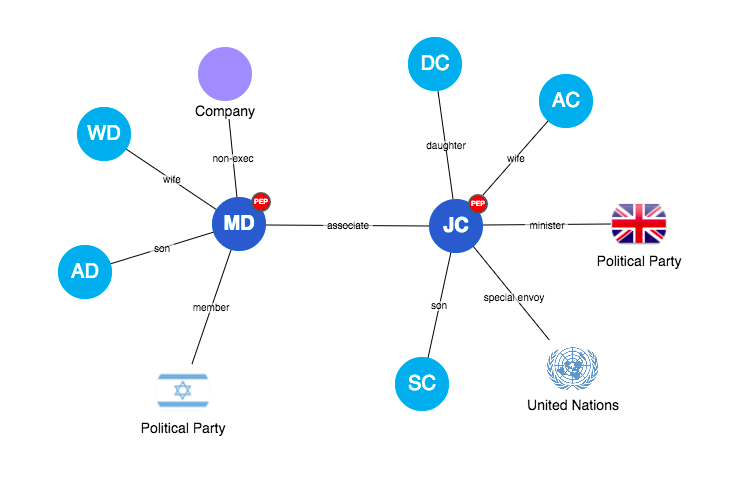 The final use case we’re going to cover is perhaps the broadest: knowledge graphs. Take Google. While their early competitors tried to flatten the internet’s densely connected network of information into a huge library catalogue, Google understood the power of the graph and embraced the connected nature of data. They explore the connections between sites, promote those with more authority and generate a more helpful view of the internet. Now, with the democratization of graph technologies, individual firms can follow suit. Enterprises worldwide are investing in silo-breaking projects to centralize and connect their organization knowledge. Knowledge graphs come in all shapes and sizes. One bio-science leader uses KeyLines as a visual front-end to their global data discovery platform. Hundreds of thousands of research articles can be explored by type, topic or author using simple navigation techniques – double-click to see all articles by this author, or all reports related to this topic, etc. Another KeyLines customer is using the toolkit to navigate the complex world of patent information. As we saw in this blog post, understanding IP is a vital part to many business strategies. Graph visualization clarifies the landscape, revealing risks and opportunities. How can graph visualization help you? Across all of the examples in the last three blog posts, we’ve seen the huge range of real-world uses for graph visualization. This is just the tip of the iceberg. In any scenarios where you need to understand the nature of a relationship quickly and confidently, graph visualization will help. If you’d like to try for yourself, you can start a trial here, or just get in touch.